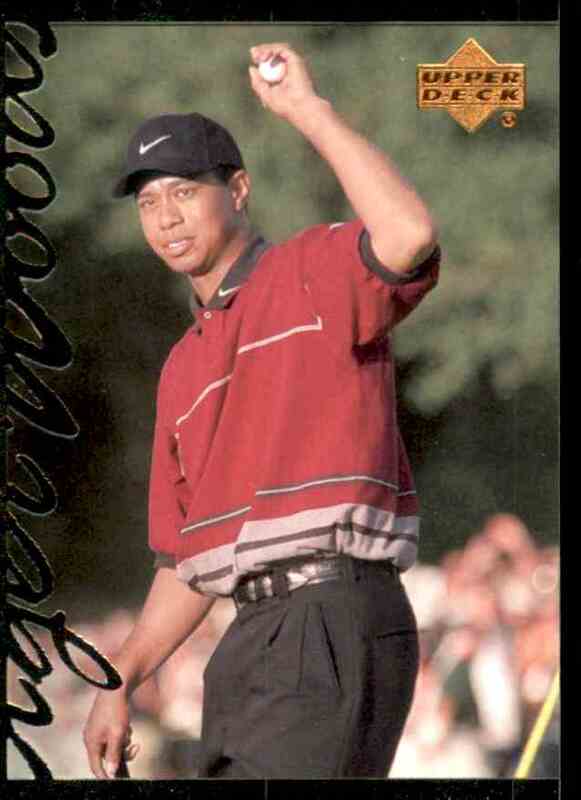 This is a Golf trading card of Tiger Woods. 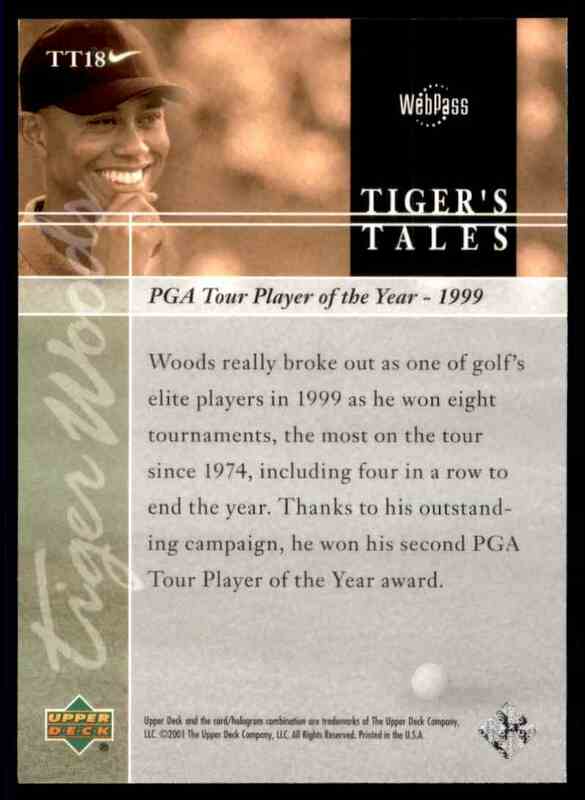 It comes from the 2001 Upper Deck Tiger's Tales set, card number TT18. It is for sale at a price of $ .60. Approximate size based on scanned front picture: 2¾" x 2"
Returns accepted within 30 days. Buyer pays the shipping. If you are not 100% satisfied with your purchase you can return the item(s) no questions asked! Thank you for visiting Tornado's Trading Cards. We have football, baseball, hockey,and basketball, and other sports and non-sports cards blowing in by the day. We charge $3.50 for shipping and the additional $.15 per card covers the supplies that we use to ensure your package is shipped securely. We ship all cards in a soft sleeve, top loader, and team bag. All cards are shipped in a bubble envelope and delivery confirmation is included. Do you see a card you like but not the price. Make us an offer. All cards are shipped out either the same day or the next day. If you have any questions please contact us. We guarantee 100% satisfaction!